Brittney Pickthall is a Marketing Specialist / Associate Graphic Designer on the support team for Western Wealth. 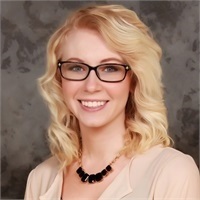 Brittney assists advisors with marketing requests and questions, manages ComplianceMax submissions and questions, and sets up websites and social media profiles. She also assists with designing stationery and other marketing materials. She is new to the marketing world, but has a passion for what she is learning and undertaking. She joined the Branch in March 2016. Brittney was born and raised in Golden, Colorado. She attended college in Ottawa, Kansas, and Glenwood Springs, Colorado to study Graphic Design. She has a passion for marketing and loves to explore her creative mind. Brittney loves to read and spend quality time with her friends and family. Her favorite pastime is taking long drives through the mountains and exploring new territory.